As American industries get more specialized to fit the specific skill sets of workers, vehicles are finally starting to join in with this new philosophy. Especially in the American Southwest, plenty of drivers are looking for vehicles that can offer the performance of a sports car with the interior sophistication of luxury models, all wrapped up in a package that emulates top-tier SUVs. All three of these values come together seamlessly on board the new 2019 Toyota C-HR, which has the ability to press all the right nodes inside you to give you that added aura of adrenaline and confidence on the road. 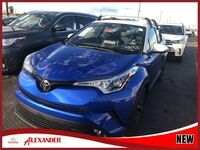 In preparation of the 2019 C-HR arriving here in Yuma, join Alexander Toyota today as we take you on an in-depth journey through all its essential specs and features. It’s sure to impress no matter what kind of style you subscribe to! All of this advancement can be yours for a starting price of only $20,945, a figure that can fit comfortably into any budgetary confinement. 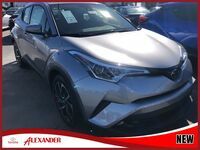 If you’d like some more information on the 2019 C-HR and what it brings to the table, contact our Alexander Toyota sales team today and schedule a test drive – we're looking forward to helping you out with any questions that you might have!